Part of making major changes to the look and feel of your home or business is finding the right Winston Salem shutter company to team up with in order to make important decisions and get what you want. 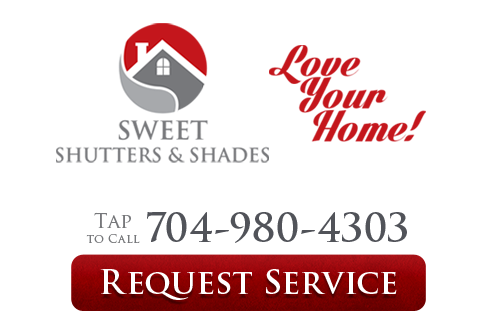 Sweet Shutters and Shades is a local Charlotte shutter company who can take care of your window treatments. Our expert design consultant can inform you about some great options and even assist you in making the best choices possible. We are the name locals rely on for this type of service. An important consideration is how your window treatments impact the curb appeal and the interior design of your home or building. Take both the inside and the outside of your home or business into consideration when it comes to making your selection. Don't take chances when it comes to the quality for your residential or commercial structure, choose quality-made products that add value to the property. You can take advantage of our free window treatment design consultation in Winston-Salem to see what a difference true quality makes. For some Winston-Salem home and business owners, shades are the best option to choose. Of course looks matter, but you will be glad to know there is more to it than that. 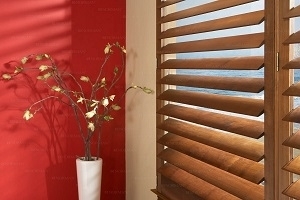 Quality shades can provide you with long-lasting sunlight control with protection from UV rays. This helps to ensure the longevity of your furniture and flooring. Plus, this added measure of insulation can help to keep your utility bills down. When the average person thinks of window treatments they think of blinds for good reason. They are a classic covering that offer privacy and full view control. They are also ideal for a variety of applications; from your home to your commercial business or your professional office space. Let us work with you so you understand the options and make the best choices possible. 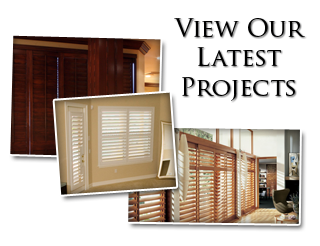 Sweet Shutters and Shades will quickly show you why so many people choose to shop for window treatments with us. As a consumer, you want to feel like you are making the best decision possible when shopping for your Winston-Salem shutters, shades, drapes, or blinds. In order to do so, you have to know about all of your options in window treatments. We will show you what's available, explain the benefits and work with your budget to create the look you want and need. So, how about taking a moment now to set up an appointment for your free measurements and estimate? We are the number one Charlotte shutter company service provider for a reason. We look forward to showing you how we earned the name we have as well as such a high rate of repeat and referral business. If you are looking for the best Shutters, Shades, & Blinds in Winston-Salem, NC, call 704-980-4303 for a free in-home design consultation or complete our online request form.